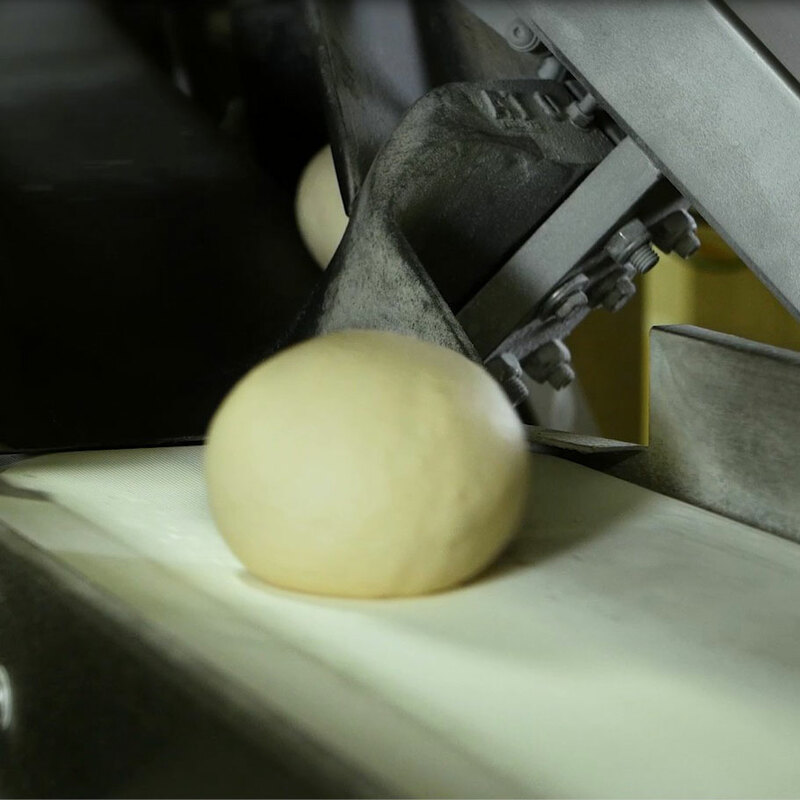 Each step in producing our bread is faithful to the expertise of the French bakery industry. 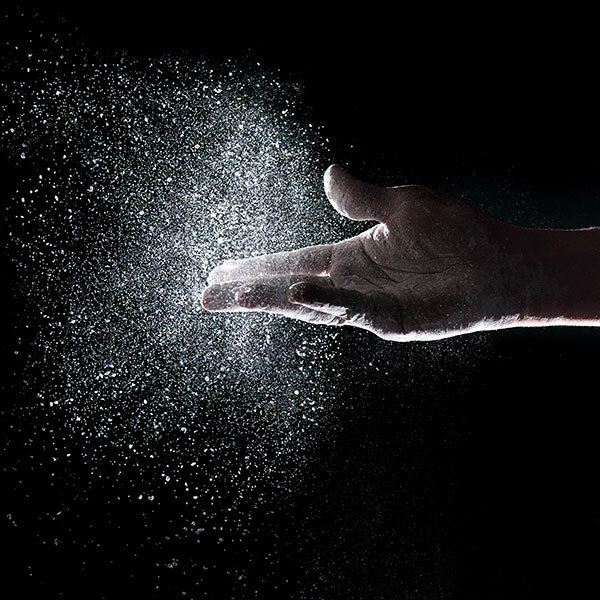 For our premium bread, we produce our own yeast, the result of several years of development. We are working on methods of slow fermentation to develop all our bread’s flavours. 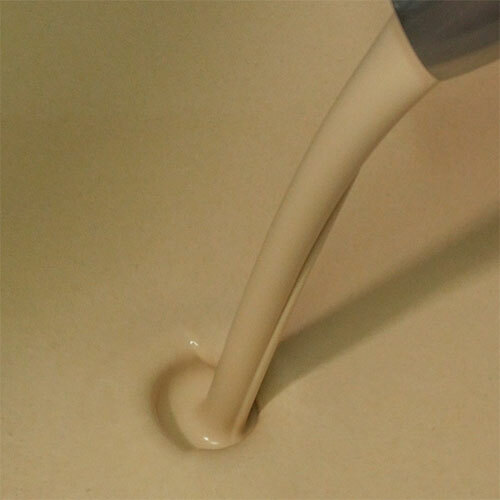 Our products are guaranteed to be free from preservatives, colourants, GMOs and added sugars. 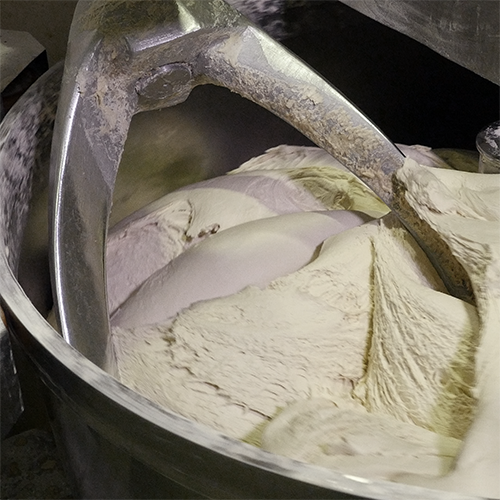 Our flour is sourced exclusively from French millers. We also use flour from sustainable agriculture and organic farming. 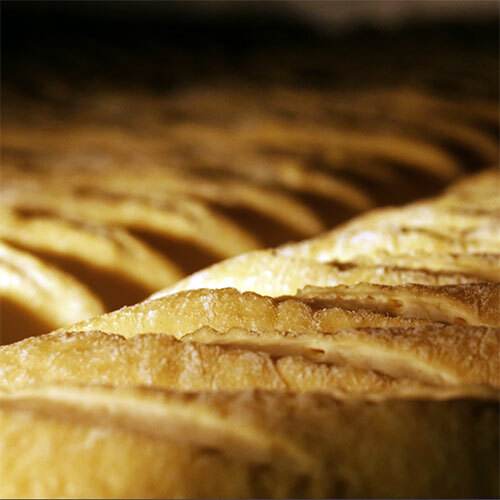 To produce our premium range, we use our own yeast, which gives our bread a unique taste and an excellent shelf life. Our bread is kneaded with respect for tradition: slow kneading and resting for several hours in a proofer to develop all its flavours. Shaping gives the bread its desired final form. 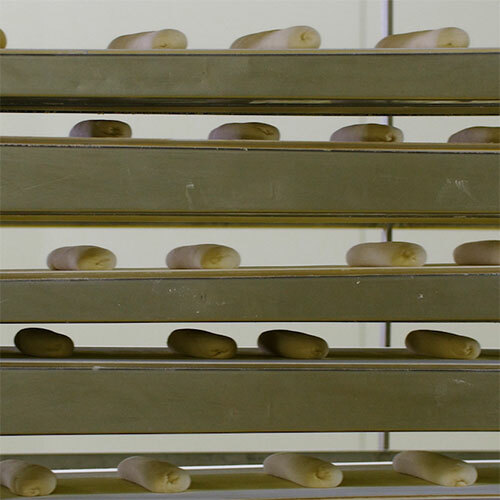 Our working methods give our bread body and consistency of shape. This is the final step of fermentation before baking. This fermentation process, which takes several hours, develops all the bread’s flavours before it is placed in the oven. We bake our bread in various types of oven. Our stone ovens give our premium bread a crispy crust and a rustic appearance.